Cebu Island. 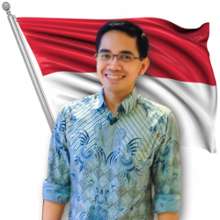 Its name immediately reminded of my teacher in junior high school who taught history with such enthusiasm. She told us about the exploration of Fernão de Magalhães, a Portuguese sailor who had reached Malaka with d’Albuquerque, and then served Isabel the Spanish Queen, and explored to the west to prove that the earth is round. The mission was accomplished quite successfully. But from the hundreds of sailors, only a dozen could return to Spain, led by Juan Sebastian Elcano. Magellan (that’s how his name is spelled in English) was too busy conquering the islands around Cebu. 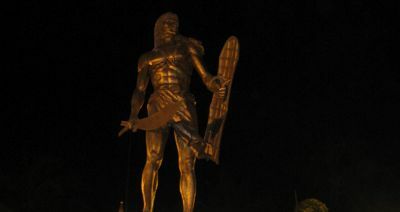 But at the beach of Mactan, Magellan was killed in a battle against the leader of the Mactan tribe: Lapu-Lapu. Of course at last Spanish conquered the islands, which was later called the Philippines. Spanish colonialism was replaced by the United States, and is now replaced by the local rich people. Mactan has become an integral part of Cebu, which is connected with two major bridges. Cebu Airport was located in Mactan. In the city of Lapu-Lapu :). At a resort at one end of Lapu-Lapu City, only about 5 minutes walking from the location of the Battle of Mactan, the IEEE Region 10 Annual Meeting was held last week. Indonesia Section sent 2 representatives, plus 1 from Indonesia Comsoc Chapter, and 1 from the organiser of TENCON 2011 (that will be held in Bali in 2011). 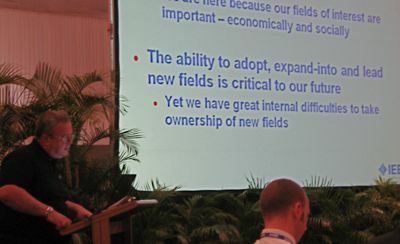 The conference was quite comprehensive. In addition to the Officers of Region 10 and the entire Sections below, also attended the IEEE President Elect Moshe Kam, and a representative from Region 8 (Europe Africa) Joseph Modelsky. Interesting to listen to Kam’s presentation. The IEEE is the result of the merged AIEE and IRE. AIEE was a classical organisation occupied by an electrical engineers; while IRE was the organisation that possessed the young engineers who focused on electronics technology. Just like NEFO and OLDEFO, haha. Both had a growing number of members; but IRE grew much faster than AIEE. The mergers in 1963 to form the IEEE could overcome the problem of dualism. Then the societies, regions, sections, etc were formed. The IEEE is now recognised as the authority holder in various fields of science and engineering. From 20 most referred journals in electrical engineering, 16 is from the IEEE. From 20 most referred journals in telecommunications, 15 is from the IEEE. And so on. But from 20 most referred journals in medical informatics, only 2 is from the IEEE. And from 20 most referred journals in nanoscience, none is from the IEEE. Kam concluded: IEEE could have become the established power as the AIEE before the merger; white the life science develops in the direction that is favoured by young scientists and engineers, just like the IRE before the merger. 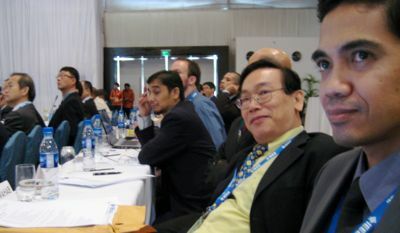 Then he delivered the BOD mandate: the IEEE must be directed to the relevant technology. IEEE is not just an association of the learned, but an organisation of engineers and professionals. Related to it, Region 10 launched programmes that lead to increased benefits to members and the community through the development of the organisation, profession, and technologies that are relevant to the present. What is the benefit IEEE membership? This is a question that was examined even since I was an Associate Member. I stay here long enough, with my own reasons. But I don’t think my personal reason could effect the same to my colleagues, or make the other engineers interested in and participate actively in the IEEE. Some interesting things often mentioned include: access to engineering knowledge, increased professionalism, networking opportunities, community service, career opportunities, and others. But for the engineers in Indonesia, maybe they are not enough, especially since this organisation apply an ‘attractive’ annual fee. So we in Indonesia Section (and the Communication Society Chapter I am managing now) wish to create more benefits: opening new opportunities for networking, increasing professional image of IEEE members (technical expertise combined with the human communication expertise), and arranging a series of activities to share knowledge. These strategies, and others, were explored and discussed those days, to form a breakthrough in the development of organization, profession, and technologies. Other things include the concerns over the lack of role of women engineers, and has been embodied in the Women in Engineering (WIE). Also the necessity to increase the role of new engineers (GOLD – graduation of the last decade). IEEE philanthropy-wing is also in development by the HTC (humanitarian technology challenge). And many other ideas. BTW, I like Cebu. The people is friendly. They speak English quite well, but they speak Cebuanos among themselves, with some similar vocabularies to Indonesian. Haha. Almost all essential information is written and printed in English. Unlike other cities in South-East Asia; Mactan and Cebu sprinkled with warm sunshine all day, with almost no clouds. The sea sent cool breeze all day. 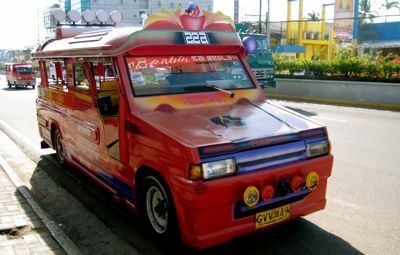 The atmosphere of the city is a bit like small cities in Indonesia, with various types of public transportation (the Jeepney), the food sellers on the edge and in the middle of the streets, the taxi drivers who charged with no rule.